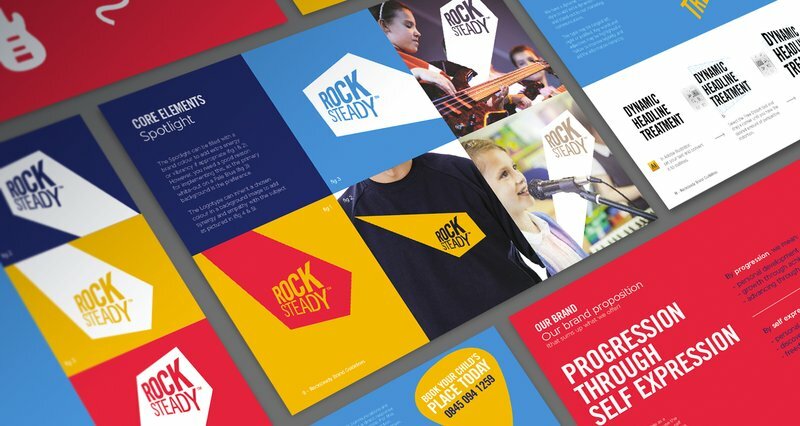 Rocksteady Music School is about inspiring and empowering children through music. Our relationship began in 2015 when they wanted to take their business to the next level. We refreshed their brand identity, created marketing assets, built their responsive site and produced brand guidelines to keep everything on brand. Their new identity conveys progression and dynamism, and the spotlight element reflects benefits and positive energy that is Rocksteady. Their new brand proposition ‘Progression Through Self Expression’ underpins everything they say and do. Based on this, we created a tone of voice guide to steer their communications and messaging strategy. A brand guidelines document was also created to bring structure to their brand and marketing assets. 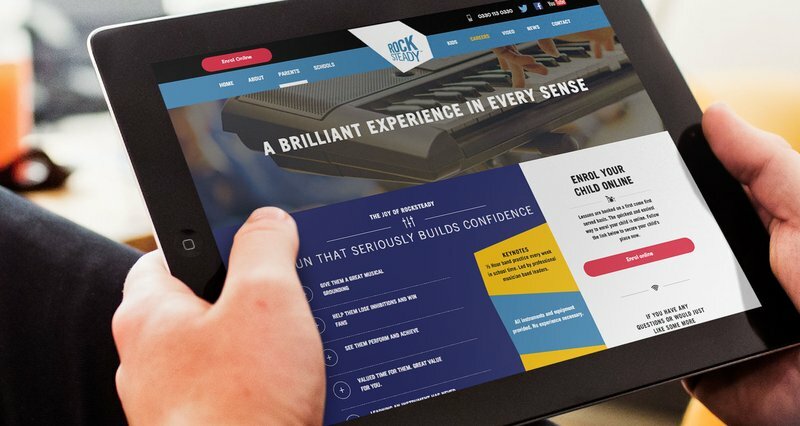 We designed and built Rocksteady’s new responsive website to include CMS functionality. This allowed their internal team to easily update the site. This new website works seamlessly across mobile, tablet and desktop. The support for Rocksteady’s website is ongoing as we continually add new features such as Rocksteady TV, which showcases 6 new bands each week.